Would you like a well-mannered dog, but just need some guidance? Let me help you learn how to build a relationship with your dog through positive based obedience training, leadership, and verbal and non-verbal communication. I cover all basic commands and everyday life situations, such as greeting people, going for a walk, and coming in from the yard. My services are very personalized, whether you are in a class situation, if I visit you at home, or we train long distance through video conferencing.. Sometimes a combination of both is helpful. Dog training is not "one size fits all." Each dog/human relationship is unique and requires an individualized approach. There is no end to the enjoyment and satisfaction you can have in return from a pet that is properly trained! It is up to you, the owner, to make that happen! I can help you! Do you think your dog has what it takes to be a Therapy Dog and/or to earn the Canine Good Citizen title? Let's work together to achieve those goals, either in a group class or through private training. I am an approved American Kennel Club Canine Good Citizen Evaluator. All classes and tests held at the Montgomery County 4H Center on Route 113 in Skippack, PA. Directions provided after registration. 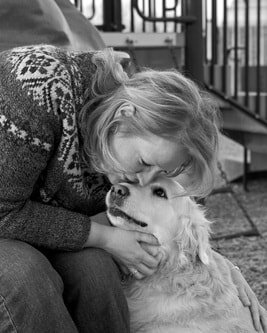 I have been assisting people with their dog training needs since 1999 because I felt there was a need in the community for basic dog training services. Many dogs are re-homed, abandoned or taken to the SPCA because of frustrated owners. If I can create a better relationship between dog and owner in EVEN JUST ONE home, then I have accomplished my goal. It all started with one dog, Nala, who came to me when she was 15 months old; both of us blank slates when it came to training. While learning to work together I had my "ah ha" moment, and I realized my love for working with people and dogs. After several years of education through a combination of classes, seminars and practical experience, Dog Gone Good Dog Training was born. In 2014, Leah's training photographs were featured in the video trailer for the children's book, JJ Goes to Puppy Class. Click http://www.dianerosesolomon.com/jj-goes-to-puppy-class/ to view the trailer. ​Dog Owner - just like you!